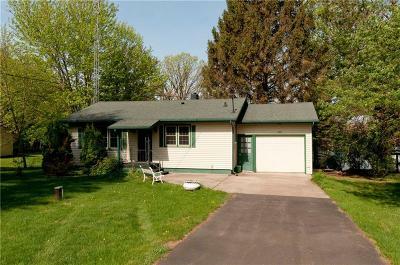 Nice clean ranch home with 106 ft of level frontage on Rice Lake. Updates include freshly painted, new flooring in living room & kitchen, updated bath. Full walk out basement offers additional storage, spacious yard and beautifully landscaped.